We’ve all seen a player place chips in the pot with multiple motions, or appear to call, puts chips in the pot, and then announce a raise and adds more chips. As our eyes roll in unison, the offender is likely unaware that they have committed a major poker transgression: a string bet or string raise. What is a string bet or string raise in poker? What is an angle shoot? A string bet or string raise occurs when a player calls with one forward motion but then attempts to raise with a subsequent forward motion, without announcing the raise first. This is an illegal move. The term “string bet” refers to the fact that the wager is “strung,” or “stretched” out. Just as you cannot fold and raise at the same time, you also cannot call and raise at the same time. You are only allowed one act when the action is on you: check, call, bet, raise, or fold. This rule was enacted to prevent players from somehow gaining information from their opponents’ reactions to a call, and then adding more chips to indicate a raise. Some players, especially beginners, haplessly make string bets, when they in fact intended to raise the entire time. But some players do try to gain information with their illegitimate first motion. String bets are therefore a type of angle shooting. What is an angle shoot in poker? Angle shooting, though not strictly cheating, is both controversial and ambiguous. Players who use this ploy attempt to gain information from—or an “angle” on—other players. Angle shooting occurs far more in live poker games than online. Angle shooters simply try to manipulate the situation by exploiting a loophole in the rules, and they almost always make their actions appear to be mistakes so that other players will try to exploit that mistake. In a way, angle shooting involves a kind of reverse psychology, where the angle shooter bends the rules to take advantage of another players reaction. There are several types of angle shooting. From a player making an ambiguous gesture, to pretend to have the nuts to get you to fold, to fake folding, to hiding a large chip beneath what looks like a call, there are many ways unethical players try to gain an advantage. For a list of common angles and how to avoid them, check out our article on cheating in poker here. Whereas most angle shooting consists of incomplete action or acting out of turn, as mentioned, string bets are a type of angle shoot and are illegal pursuant to “Robert’s Rules of Poker,” which is the definitive authority on poker rules. Robert is Robert “Bob” Ciaffone, a premier expert on cardroom rules, Tournament Directors Association (TDA) rules consultant and rules drafter. Since authoring the Poker Players Association rulebook, virtually all cardrooms today—as well as the WSOP—use Ciaffone’s rules. Thanks to Robert, we have specific rules about how to place chips into the pot when wagering or raising. These rules are different for tournaments and cash games. According to Section 3 of Robert’s Rules on betting and raising, during a tournament, one must make a verbal statement with the amount of the raise or place the correct amount of chips in the pot with a single forward motion to avoid confusion. A forward motion is how you get chips from one’s stack into the pot. Most poker tables have a betting line approximately 6–12 inches from the rail. Any chips placed beyond that line are part of the pot. For tables without a betting line, moving chips in a forward motion toward the pot constitutes a bet. Thus, if you announce a raise to $3,000, for example, you may use more than one forward motion to get the full amount of your raise is in the pot; however, if a bet is made by simply placing chips into the pot without specifying an amount, then the bet must be made with a single forward motion. In non-tournament play, if you state that you are making a raise you may use more than one move to place all of your chips into the pot. This would not be considered a string raise. The rationale for the difference from tournament play is that the nature of no-limit cash play might involve a large number of chips and/or cash. Thus, when your hands come to rest outside of the pot area, you have completed your wager. As mentioned, the classic call-and-raise is the most common string bet. You have undoubtedly seen this move in movies and television shows where a player announces something like, “I’ll call your $100 and raise you $500.” Again, it is impossible to call and raise in the same action. You can call or you can raise–not both. It is important to understand that a verbal statement supersedes a physical action. In other words, if you announce that you’re going to raise but only place enough chips into the pot to constitute a call, you must add additional chips to constitute the raise you announced. Any verbal statement—fold, call, check, bet, or raise—is binding, and you must take that action. A rather famous string bet move, the “Freitez,” is named for a famous perpetrator. This occurred during the 2011 European Poker Tour (EPT) Grand Final in Madrid, when Ivan Freitez committed his “no speaky English” angle shot against Eugene Yanayt. As it turns out, Freitez is a habitual shooter of this angle. Here are a couple more hands that illustrate the problems with string bets. This hand illustrates a prime example of a string bet—and a stellar bluff—from Mislimi. Finally, take a look at this controversial string bet and subsequent horrible ruling from Jack Effel at the 2008 WSOP. Apparently, Effel did not understand what forward motion is, much to the chagrin of not only Cantu, but also the rest of the table. String bets are not only controversial, they are illegal. Have you been the victim of a string bet, or perhaps a perpetrator (unintentionally, we hope!)? Than chime in below! You want a quick & easy way to win more money at poker, right? Of course you do. 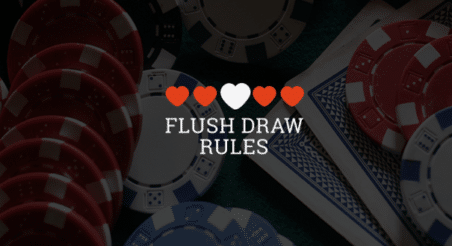 Get our free preflop guide with 8 preflop charts here!